Story and High-end Content in MMOs – Should Story Be Accessible To Everyone? Many MMOs start to focus more and more on stories, which are often similar to the good old-fashioned single-player RPGs. Fairly recent examples include Star Wars: The Old Republic, Guild Wars 2, and Elder Scrolls Online. But even WoW has lots of lore and story pieces in it – after all, the familiarity of the Warcraft world, and the possibility to meet the famous heroes of Warcraft was what made it successful in the first place. But what difference is there between how WoW’s story is presented, to how Guild Wars 2 or SWTOR does it? This is important – in WoW, you are just one of many adventurers in the world. When you look at any of the legendary bosses – Arthas in Wrath of the Lich King, Kel’Thuzad in Naxxramas, or Garrosh at the siege of Orgrimmar, among many other examples – these adventurers are just side-kicks for the real, iconic heroes who defeated these villains. Contrast to this, SWTOR and GW2 put the player’s character at the focus point of the story – while in reality, you are just one of many players doing the exact same quests and story pieces like several thousands of others, the story presents you as “the hero”. Because heroes are often all-powerful in such RPGs, many movies and books, players expect to have access to all content in these online RPGs, too. As these become less and less social, with pick-up raids, easy modes and automated dungeon finders, developers have less of a concern about “hiding” story bits and pieces inside raids, as players will be able to access these anyway in “easy-mode”. WoW wasn’t like this back in 2009, when WotLK was in full swing, with Arthas being the ultimate endboss of that expansion. People back then accepted that not everyone would have the opportunity to face off against him, as raids required 10 or 25 organized people with appropriate gear. Nowadays, even WoW offers significantly dumbed-down versions of their raids, so literally anyone at max level can enter them just to see the bosses and any associated story elements found within the raid instances. The issue with this is that many players are content with beating the bosses on the easiest difficulty, thus they aren’t motivated to become better players at least for the regular “normal” raids. 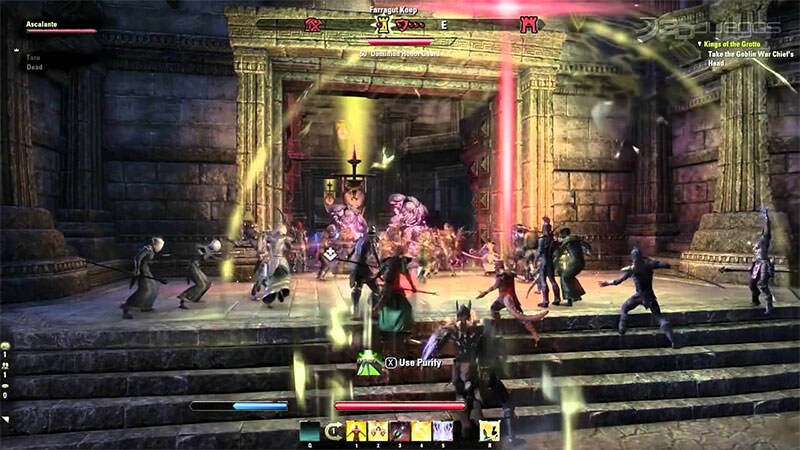 Because player expectations have also changed, locking away story in difficult raiding content is a very controversial topic – a recent example is Guild Wars 2, where due to the delay of the Living World season 3, raiders had access to important story bits well before the casual population got the same information from the much easier LS episodes. Some side-stories and lore tidbits are still locked away in these raids, thus excluding a significant part of GW2’s population. Or is that really so? Thankfully, no – ArenaNet solved the story accessibility part fairly well, considering that they do not want to make easier versions of their raids. In all four current raids, there are lore tidbits scattered around in the form of interactable objects – the fourth raid wing even includes an optional short investigation part – and Scholar Glenna, a NPC is also there, who can explain a lot of backstory if you talk to her. These mean that the actual boss fights barely contain any story info. Players can also often find cleared raid wings advertised on the in-game LFG tool; they can enter these groups and explore the now-empty instances for story-related information. By using this method, they ensured that the casuals, with a minimal effort, can get their story pieces, while the raiders have “exclusive” access to their difficult fights. I think this is a fairly good solution to the issue I outlined above.